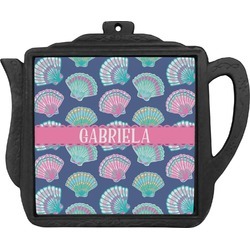 Keep your countertops and tables in prime condition when you use our personalized teapot trivets. Not only can you use them, but they also serve as decoration. No need to put them away when not in use!! These are ideal for people who love to coordinate all of their kitchen essentials. If you are a self appointed chef (or know someone who is) these trivets will make a great addition to any kitchen. 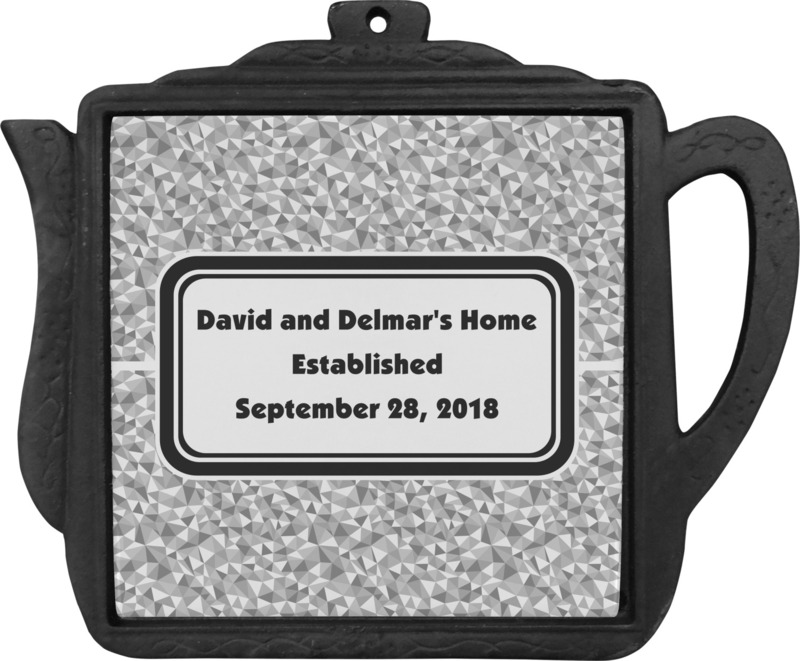 We have all kinds of personalizations and designs to choose from making the trivets truly one of a kind. These trivets are teapot shaped and would fit right in at a tea party when you use them underneath a hot teapot. The tile sits recessed in the center of the teapot and is heat resistant and removable so you can clean it easily. The trivets also have four non-slip pads on the bottom to keep them steady. Hello, The trivet looked great. Your company has corrected the background color and I am very happy with the finished product. I had ordered a trivet at the end of September that was not the correct color, but you made the correction and sent a new trivet to replace. It was much appreciated and I look forward to ordering more trivets for our Client's. Thank you! Came Out Exactly As Designed! Ordered this and designed it for a Birthday gift. My sister is a magnificent singer and was a music teacher forever. The product came and it is well built and the design was exactly what I ordered!!!! I am so very pleased with it as I am sure my sister will be-by the way, she also collects and displays teapots! Thank you! Really cute!! Needed a hostess gift to take to England and wanted something that related to Texas and this was perfect. I had not met the couple and only knew their first and last name so I did not personalize it but it was still cute. I wish there had been an option to personalize with just the first letter of the last name. Plan to order more for future gifts and one for myself. Super cute! Bought as a gift!